Looking for the right sort of loan for your business? Getting hold of the funds that your small business requires can be the difference between struggle and survival, panic and profit. But often the traditional avenues to cash have been closed off. Since the financial crash of 2008, major banks do not take the risks they once did. This means less loans and less chances for emerging businesses and guaranteed business loans can be hard to come by. Major high street banks will typically only release funds to businesses that are performing well and have been doing for at least a couple of years. They will also be looking for clients with great credit scores, collateral and a proven track record. They will also often take a good number of days to process such an arrangement. Basically, banks want to lend money to businesses that do not really need the money. So what if you or your business do not fall into this category? 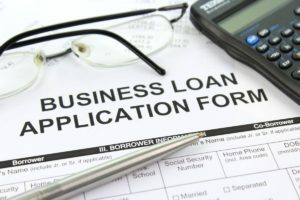 What if you do not meet the criteria for a business loan? What if your credit score is poor or you do not have collateral to offer? What if your business is a bold new venture or is aimed at an industry considered risky to large banks? How do you get your hands on a Canada small business loan? Help is at hand. With merchant cash advance loans, the doors that seemed closed before are opened wide to allow you and your business to thrive. Poor credit is not a problem and collateral is unnecessary. New businesses are considered in a host of industries and a decision can be made in minutes to allow quick access to your funds. What is more, merchant cash advances allow you and your business to repay the loan at a rate that suits your business. By monitoring credit card payments, repayments are manageable and are dictated by the amount of money coming into the business. This means no fixed, unwieldy payments that can hamper small businesses, particularly those who suffer seasonal slumps. So what kind of businesses can apply for a merchant cash advance loan with our team? The flexible and fuss-free nature of a merchant cash advance loan makes it suitable for small businesses of all types. 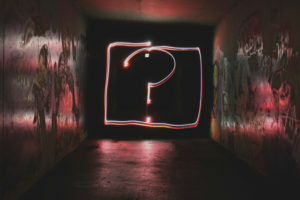 Besides being particularly attractive to forward thinking new businesses and those who have been refused funding elsewhere, it is also particularly useful for those whose industry is not usually a strong choice for high street banks. You can find out more on our blog. We provide loans for restaurants. This highly competitive market is one that is often seen as a risky proposition for major banks. They are often considered one bad review away from failure, and there are a number of tricky factors into making your restaurant a profitable enterprise. There are costs such as staff, equipment, furnishings, premises and more that seem prohibitive. Of course these issues are the very reason many restaurant owners will seek a loan in the first place. With a merchant cash advance loan, the changing nature of the business can be managed. Funds can be found quickly to combat these problems and to help the business grow. For big purchases like new kitchen equipment, this kind of loan can be crucial. Operating loans for small businesses such as those in the automotive services industry can also be hard to acquire. This is another business in a highly competitive industry with a number of different factors at play. Automotive services can cover car repair, parts or acquiring new and used cars to sell. Again, typical lenders will see this kind of business as a risk and will be loathe to lend large amounts of capital. With one of our merchant cash advance loans, those big purchases can be made and easily repaid at a rate that suits you. So restocking inventory, hiring new staff or improving your premises are a breeze. There are other businesses who we work with too. We also help to provide financing for spas and salons, an industry that again can suffer from high purchasing costs and from competitiveness. For any new business, a cash boost can be the difference between your spa or salon becoming a hit enterprise or a struggling small business. Much like the automotive industry, money for stock and inventory is incredibly important. As well as beauty treatments there are larger scale pieces of specialist kit to consider – massage tables, sun beds, teeth whitening kits and more – that cost big money but that can produce big results. Where typical banks will leave you feeling stressed and cast adrift, a merchant cash advance loan from our team will leave you pampered and primed: just as you want your clients to feel! Getting your hands on a retail loan is another thankless task when approaching high street lenders. Banks will scrutinise your personal credit history and also the direction of your small business, with many new companies not matching up to the criteria for a business loan. With changeable factors like the location, stock, marketing and more, it is a tricky line of work to launch into. It’s worth checking out the retail council for support. Luckily, with a merchant cash advance from our team then an operating loan for a small business is within your grasp. That vital cash boost early on can guarantee you a premises in the right location to bring in customers, or could be used to provide the stock and inventory you need. It can also be used to make staff hires, marketing costs or give a general boost to the coffers. Our team are the best at giving you and your business access to the money that can make a big difference to your small business, whatever sector it is based in. If you have failed to meet the criteria for a business loan with a traditional bank, and you are constantly asking yourself “how do you get a business loan?”, speak to our team. A merchant cash advance loan is the smart, simple choice to help your small business grow. If you’re interested you can apply for one here.